Before you decide to sell your business, you owe it to yourself to call Joe. Our highly professional staff is your guarantee that Murphy Business Brokers will get you the best possible deal when selling your business. The selling of a business is a very complex process. It involves many aspects that most successful business people are not exposed to in the day-to-day operation of a company. Business owners in general do not have the time or knowledge to recognize and understand the complexities of selling their own business. Most businesses do not have the personnel capable of handling the sale of a business. Selling a business involves much more than just placing an ad in a newspaper. You should rely on experts trained in the sale of businesses. Someone familiar with the nuances of selling a business will prove an invaluable asset. Seller financing is usually the cheapest and easiest to obtain. It also tells the Buyer that the seller has confidence in the business. There are no loan fees and the interest rate is usually lower than the bank rates, but the term of the loan is often shorter. Seller notes make up the majority of Buyer financing. Banks will loan money on businesses that show a strong earnings history on the tax returns. 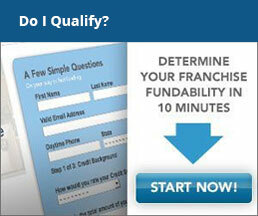 They require a lot of documentation and the payment of upfront fees. In recent years, bank loans, which are guaranteed by the Small Business Administration, have become very popular and more readily available. If all else fails, family or friends will sometimes offer to help out. They can either provide funds or sign a guarantee for a bank loan. We advertise on the Internet using 15 different sites. We have also optimized this site to target and attrack buyers for your business as they search for businesses for sale online. We network with members of trade associations such as the International Business Brokers Association. We also receive referrals from attorneys, accountants, real estate professionals and previous clients. Many factors come into play that affect the selling of a business. Though every business is unique, whether in manufacturing, service, distribution or retail, each shares the same opportunities and the same problems that must be evaluated carefully when selling it. As one of the most successful business brokers in New Jersey and Pennsylvania, Joe believes that outsourcing expertise in the selling of a business is a wise investment. A potential buyer will want information about your customer base, competition, financial history and industry characteristics, such as size, growth potential and areas of opportunity. This information must be provided in a salable format and in a way to ensure your confidentiality. There are legal, financial. marketing and other vital considerations that must be addressed in the selling process. Many decisions in the selling process should not be made without the advice of the right professionals. A wrong decision could lead to a fatal mistake! These are just 12 areas of concern. There are many more just as important, depending on your particular situation.